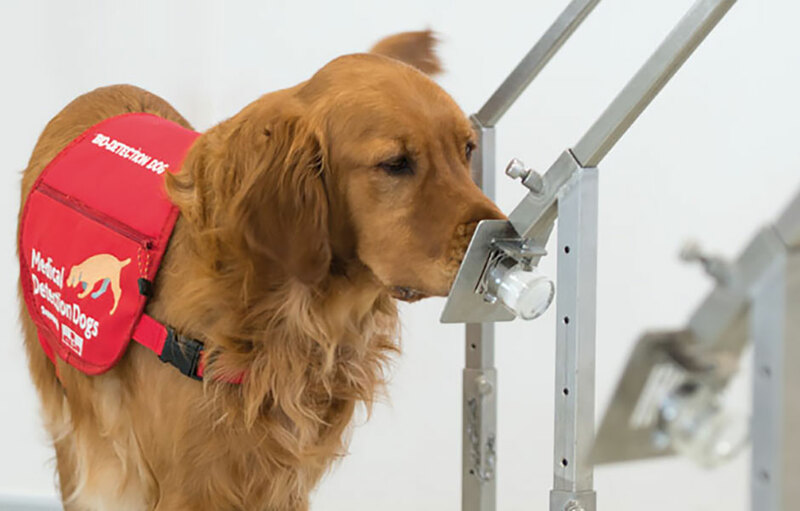 Though sceptical initially, many medical professionals and scientists, having seen Medical Detection Dogs at work – especially detecting prostate cancer and diabetes – now realise the charity has huge potential to sniff out a huge number of other diseases in the future. MDD also trains support dogs to alert people with diabetes when they need to take medication. Some support dogs – and detection dogs – recently proved a big hit at Buckingham Palace when they displayed their life saving skills to Her Majesty the Queen.